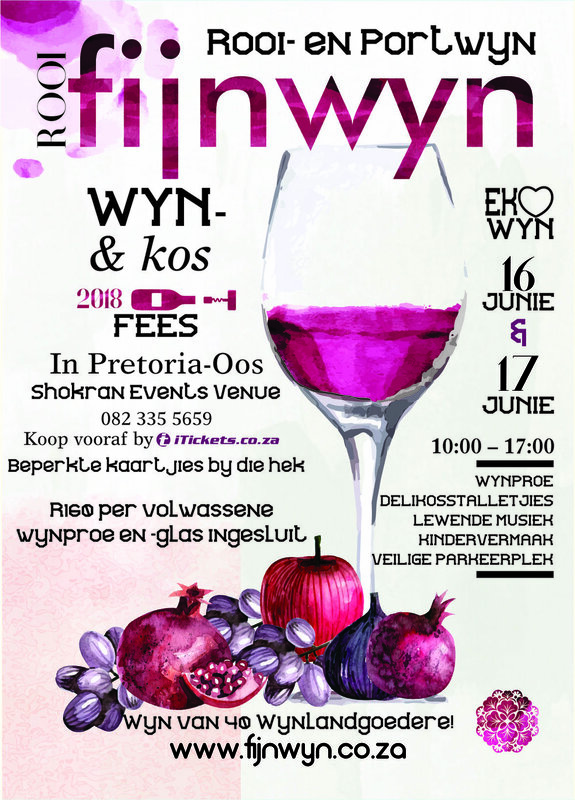 We are excited to announce that the 15th Fijnwyn Food and Wine Festival will take place at Shokran Events Venue in Pretoria East on 16 & 17 June 2018 and this time we are celebrating Reds. With more than 35 wine estates including Beyerskloof, Louis 57, Boplaas, De Krans and boutique farms like Wijnskool from the Overberg, you will be sure to taste some of the best red and port like wines South Africa has to offer. Come and embrace winter, There will even be some real port from Portugal available. Each estate will have one “cheat” with a white and rose on their table for the white wine lovers.. This year we celebrate Youth Day on the Saturday and Father’s Day on the Sunday and Fijnwyn is the perfect place to celebrate. On Sunday the first 300 dads will receive a small gift from us. The idea of Fijnwyn was to bring a wine festival with a relaxed atmosphere to Pretoria where family and friends can enjoy some of the best wines in a unique setting and it has grown to Pretoria’s favourite wine festival where family and friends meet in a secure setting feasting their senses with great wines, delicious food and live music by some of South Africa’s best kept secrets when it comes to talent. Visit our website for final line-up. On Sunday the amazing Len Muller will be entertaining us. Shokran is nestled amidst a pecan nut and almond plantation on the outskirts of Pretoria East. The perfect location for a decadent taste-adventure! 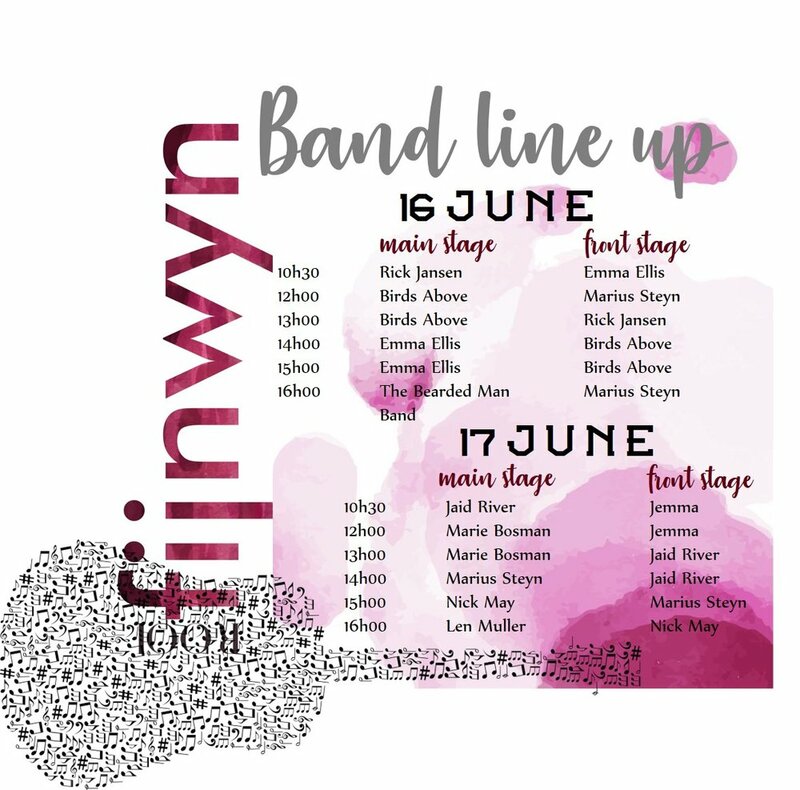 Spoil your taste buds with excellent wine, great food from deli food stalls and some amazing food trucks and to round it all off live music in a beautiful setting. Entertainment for the little ones is also available and our Kids Zone which is optional for the kids at R100 per child with lots of activities. Fijnwyn has grown to a well-loved and recognized brand and we are extremely happy about the amazing support we get.